Mary lives alone in the home she has lived in for 55 years. Mary can no longer drive, shop or cook like she used to. 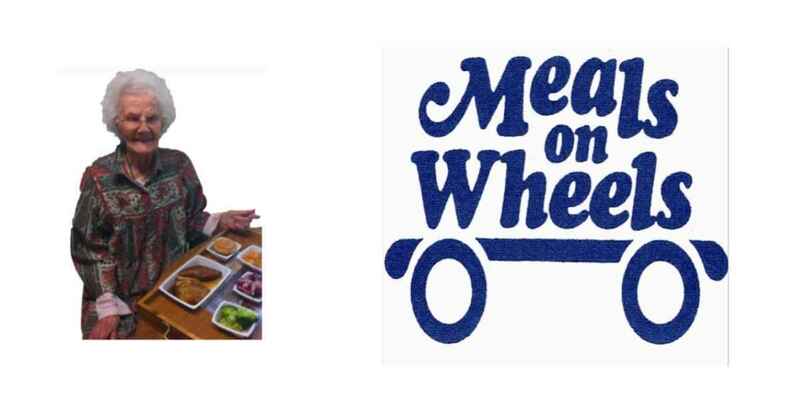 Meals on wheels not only brings Mary a meal each weekday at lunch, the volunteers talk with Mary and make sure she knows that someone in town cares about how she is doing. Mary has trouble getting to the door. The Meals on Wheels volunteer is patient. The volunteer sometimes brings in Mary's mail. Sometimes the volunteer opens a package Mary cannot open. The volunteers become Mary's friends. Mary needs lots of friends. Mary cannot afford to pay for her meals. Mary pays nothing for her meals because friends like you make it possible for us to provide these meals for those who cannot pay. This is such an important ministry, and having worked with some of our seniors and having had family who were homebound, it's my honor to give. MOW provides such an amazing service to my community members. The volunteers bring joy to the clients, but the clients bring so much more joy to us!